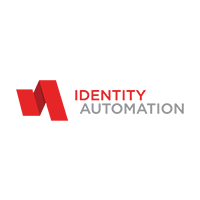 Identity Automation is a software product company focused on solutions that help organizations embrace security and increase business agility by providing a complete portfolio of identity and access management and authentication software products. Once deployed, IA’s product suite provides a centralized solution to manage digital identities to ensure that the right individuals have access to the right resources at the right times and for the right reasons. Identity Automation operates globally, managing millions of identities both in the cloud and on-premises, and facilitates tens of millions of daily secure authentication transactions for more than 740+ organizations worldwide.